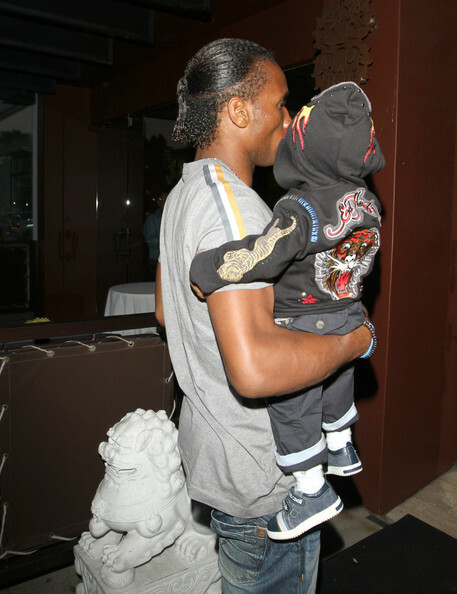 Chelsea star Didier Drogba arrives with a young boy at the Crustacean restaurant in Beverly Hills. There has been recent speculation that Manchester City are lining up a 20 million pound bid for the French striker who has been recovering from a broken arm. Striker Didier Drogba showcased his signature hairstyle, half up and half down.